Courts • Suit seeks $29.6 million from Nebraska firm for failure to act on scheme. | Courtesy Salt Lake County Sheriff Dee Randall, 63. A lawsuit alleges that a Nebraska life insurance company ignored fraudulent and illegal activities of one of its agents, Dee Randall, the Kaysville man now facing criminal charges that he operated a Ponzi scheme that brought in $72 million. The suit filed in federal court in Salt Lake City claims Union Central Life Insurance of Lincoln "played a critical role in the proliferation of Randall&apos;s scheme" and is asking for at least $29.6 million. Randall, 64, was charged in state court last month with 22 counts of securities fraud over his 10 years of operation of an alleged Ponzi scheme while he was an agent for Union Central that left victims out $29 million. The lawsuit was filed by Gil Miller, a forensic accountant who is the trustee of a trust created in the Randall bankruptcy cases for the victims of the alleged fraud. Union Central ignored "red flags of fraud concerning Randall" when it hired him as a general agent in February of 2000, according to the lawsuit filed Tuesday. Prior to that Randall had been blacklisted as an agent by Standard Life Insurance because of his involvement in a Ponzi scheme run by one of his subagents. Using his role as a Union Central general agent, Randall marketed "worthless" promissory notes bearing high interest rates and then used them to increase sales of insurance and annuities in violation of state law, the lawsuit alleges. Using this scheme, Randall&apos;s Horizon Mortgage and Investment Co. became one of Union Central&apos;s most successful agencies in the nation. "Because Randall was one of its top production agents, Union Central made a conscious choice to ignore the indications that its agent was running a fraudulent investment scheme," the lawsuit says, citing the company&apos;s receipt of more than $100 million in premiums sold by Randall and his subagents. The Ameritas Acacia Cos., the entity that Union Central merged with in 2006, did not return emails seeking comment on the allegations. The lawsuit claims that a Union Central senior vice president told two of Randall&apos;s subagents that the company did not care how Randall managed to sell so many highly profitably policies. It also alleges Union Central participated in training sessions for Randall&apos;s subagents where illegal sales techniques were discussed. In addition, the company ignored the fact Randall was not properly licensed to sell securities or even insurance, as of 2002, the lawsuit claims. Randall&apos;s connection with Union Central gave his scheme the "imprimatur of respectability" and gave him access to a large number of potential victims, the lawsuit says. 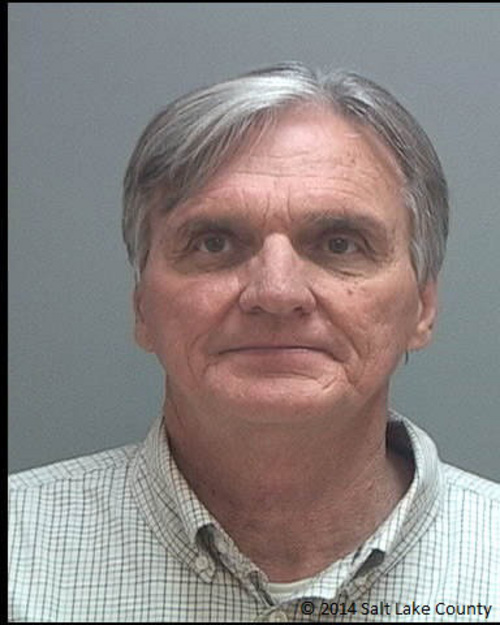 It claims he also exploited his connections of The Church of Jesus Christ of Latter-day Saints as a high priest and member of his ward bishopric. Annual marketing events at the Grand America Hotel used the central theme from the Bible of "Abundant Life." Randall spent tens of thousands of dollars on guest speakers for those events, the lawsuit says. At one, Utah Jazz owner Larry Miller introduced the noted historian David McCullough as the keynote speaker. At another, the speaker was Frank Abagnale, the author of the autobiographical book Catch Me if You Can, made into a movie of the same name. "Abagnale, who, ironically, was a prolific conman himself, delighted the crowd with stories about his colorful background," according to the lawsuit. Still another speaker  the most important, according to the lawsuit  was the president of Union Central who at least at one event presented Randall with an award. The suit claims Union Central negligently hired and retained Randall, violated Utah securities laws and unjustly enriched itself through him. It asks for damaged of no less than $29.6 million, disgorgement of ill-gotten profits and treble and punitive damages, plus attorneys fees.